Our family had a great time exploring Annapolis and Baltimore last fall, so it was neat to work our way through the Maryland Little Passports journal and do activities inspired by things we'd done during our travels. 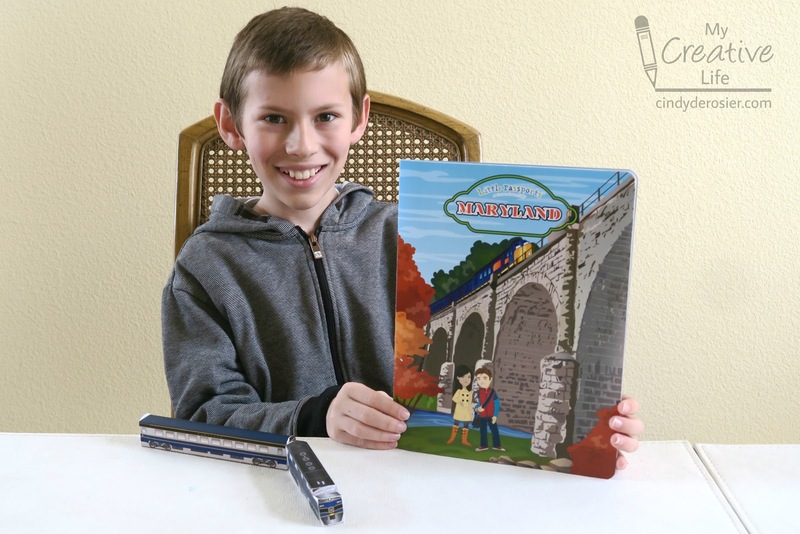 The model train was inspired by the fact that some of America's first railroads were built in Maryland, including Mount Clare Station in Baltimore, where the first regular railroad passenger service started in 1830. We wanted to visit the B&O Railroad Museum while we were in Baltimore, but there wasn't enough time to do everything. Next time for sure! After building the model, we jumped right in to the science experiment. It was inspired by Chesapeake Bay. 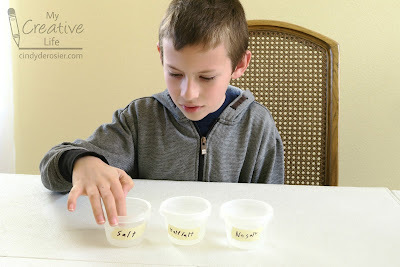 To understand why ice forms near the shore but not further out in the Chesapeake Bay, Trevor prepared three containers with equal amounts of water. 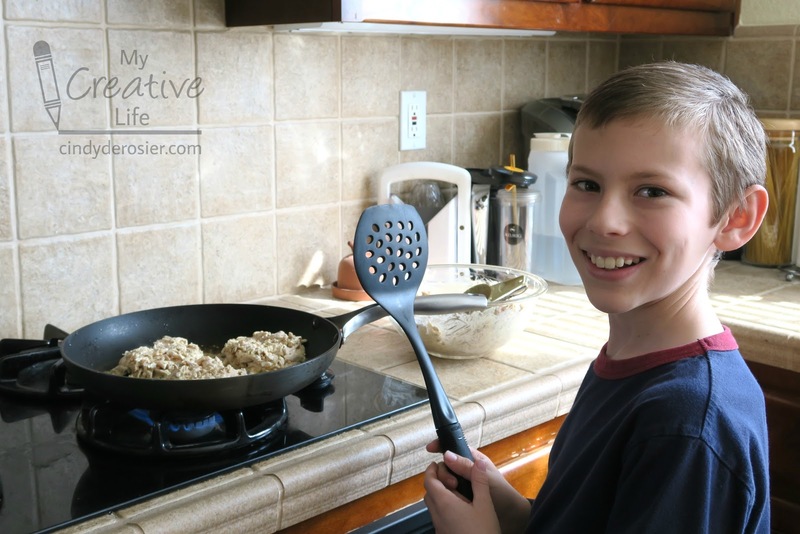 He added a teaspoon of salt to one, half a teaspoon of salt to the next, and no salt in the third. After two hours in the freezer, the 'no salt' container was frozen over, while the 'half salt' had a thin layer of ice. The 'salt' was still liquid. Salt water freezes at a lower temperature than fresh water, so the freshwater portions of the Chesapeake Bay freeze sooner than the estuaries. The salty ocean waters do not freeze over. 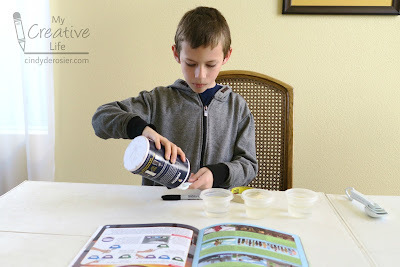 This was an important lesson for my California native who has little experience with frozen water except for the cubes that come in his drinks! Next, we did an activity about the Chincoteague horses of Assateague Island. We did a math activity about the Thomas Viaduct, the first multi-arched railroad bridge in the US, and learned that it was 16 arches that are about 6 stories high and total more than 600 feet in length! We learned that Edgar Allen Poe is from Maryland. His house is now a historic landmark - another place to visit the next time we're in Charm City. Trevor and I worked together to solve a puzzle about Antietam National Battlefield. We did a word search inspired by Clara Barton, the "Angel of the Battlefield" who founded the American Red Cross. We learned that Gaithersburg, Maryland is home to the National Institute of Standards and Technology. NIST researchers set the standards for weights and measurements used across the US. We learned that in 1927, NIST standardized traffic lights to the red, yellow, and green that are now used in every state. Imagine driving from state to state with different colors meaning different things. Yikes! We read about the devastating Baltimore fires in 1904. Firefighters from nearby states came to help, but because there was no standardization of fire hydrants, their hoses didn't fit and they were unable to assist. More than 1500 buildings burned. After the fire, the hundreds of different hose and hydrant sizes were standardized to ensure that all fire crews could help each others. 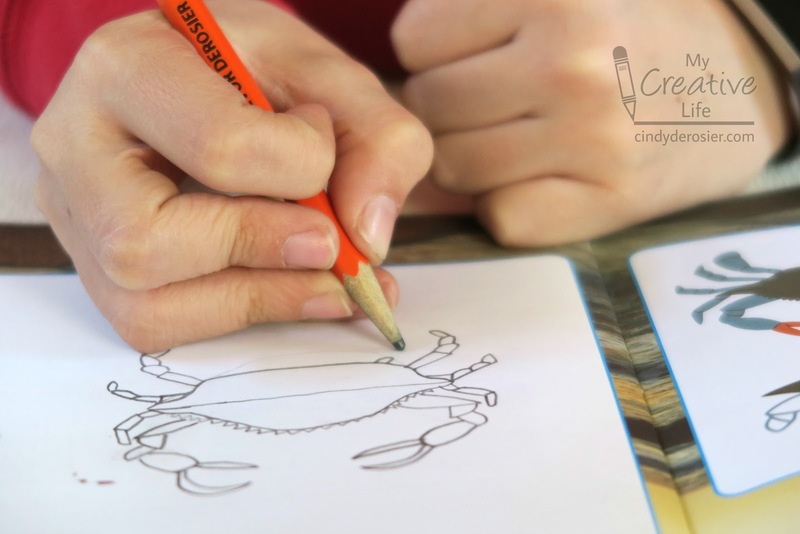 Both the art activity and the cooking activity were inspired by crab. 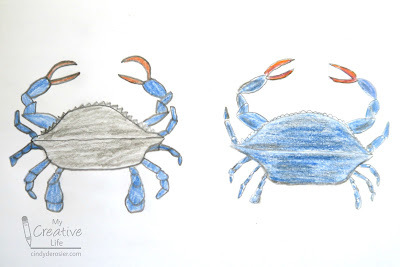 We followed the steps to draw blue crabs, the Maryland state crustacean. That's Trevor's drawing on the left and mine on the right. I don't eat crab (or any seafood, for that matter) so we made a slight modification to the crab cake recipe. We substituted chicken thigh meat for the crab, but kept everything else the same. Yum!! They were delicious! Trevor and I had a great time exploring the Old Line State through Little Passports! We're looking forward to our next adventure. That is crazy about the traffic lights and the fires!! LOVING the activities you did!!! I love that Trevor seems to enjoy all the activities. I love crab (and seafood) but chicken thigh sounds delicious!